TPT664 - XL Performs like it came straight out of the gym! Thick 1/2" Glass Backboard - Unmatched ball bounce off the backboard. 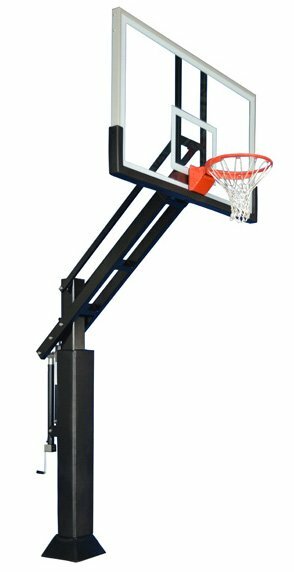 42" x 60" perfect size for full court or half court basketball. Free Weather Shield™ Protection - Each unit has a zinc galvanized undercoat and then top-coated with black powder coat paint for an impenetrable weather barrier.